Welcome back my guest blogger, Naomi Cook with A Life Delicious! This recipe is amazing so give it a try! You literally just throw your chicken, spices, honey and chipotle peppers into the slow cooker and let it simmer away — becoming all sweet and juicy and glorious. The only thing you really need to think about is prepping your garnishes right before you eat. See that’s pretty simple, right?!? 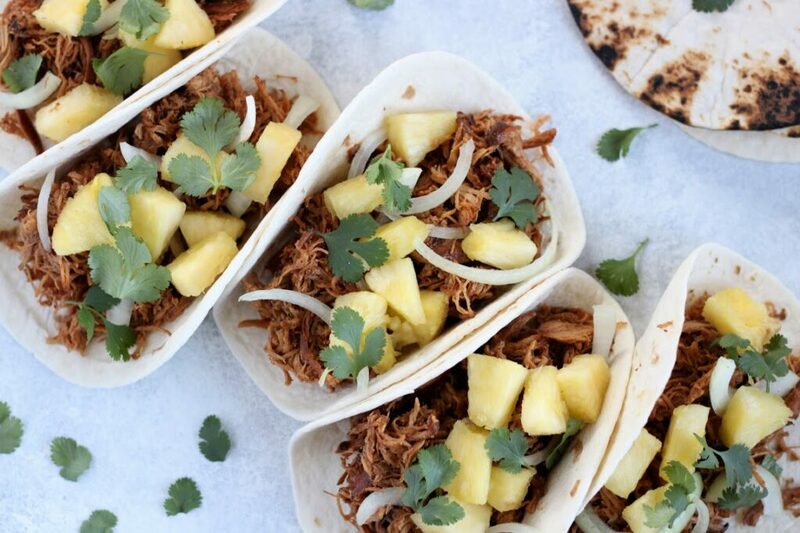 And as you know, tacos are a pretty versatile food and are perfect for a game day lunch, an easy weeknight meal or a laid back outing with some friends. So you can bet, I’ll be making these bad boys yet again for Superbowl weekend. And with the leftovers, I’ll then prep my Chipotle Honey Chicken Nachos as an appetizer to eat during the actual game. (You should check that goodie out too!) So you see, it’s a win win all the way around! Both lunch and a dinner appetizer are taken care of for you. 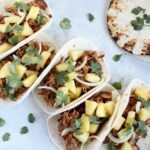 Spicy sweet chipotle chicken tacos cooked in a slow cooker, and topped with sweet pineapple and crisp onion! Perfect for a weeknight meal, game day or just because! In a small dish, add all the spices and mix until thoroughly combined. To a slow cooker, arrange the whole chicken breasts and completely coat both sides of the chicken with the spice mixture. Top with the diced chipotle peppers, sauce and honey. Cover and cook on high for 3 - 3 1/2 hours, or cook on low for 6 - 6 1/2 hours. Pull out the chicken and shred with two forks. Then add the meat back to the slow cooker and stir into the juices. (There will be quite a bit of liquid, but once the chicken is shredded and added back in it will be nicely absorbed). Lightly char the tortillas on medium-low flame of a gas stove, or broil on high in the oven. (*Either way, don't leave them unattended). 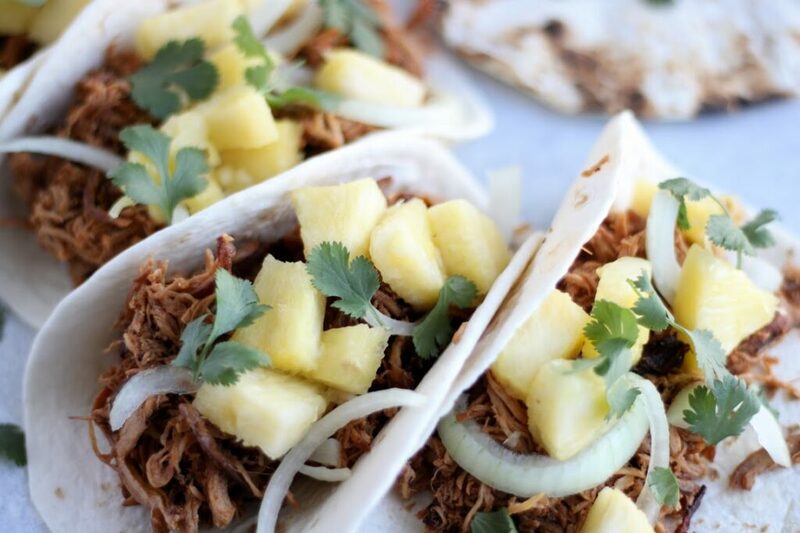 Top with onion, pineapple, cilantro and lime wedges.